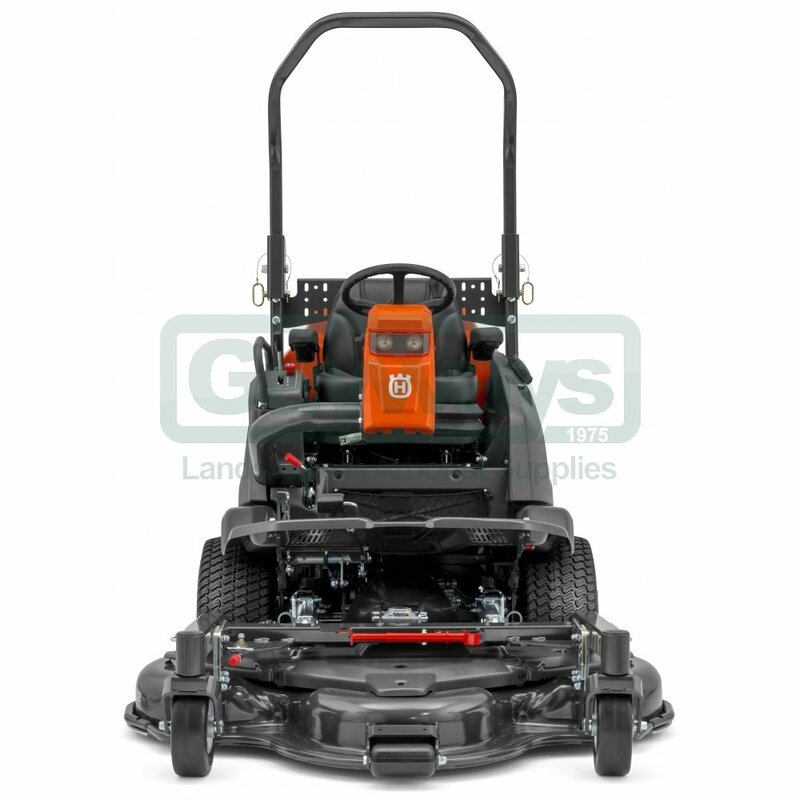 With a low profile front mounted cutting deck, the Husqvarna P520D commercial rider is suitable for a wide range of lawn maintenance tasks. 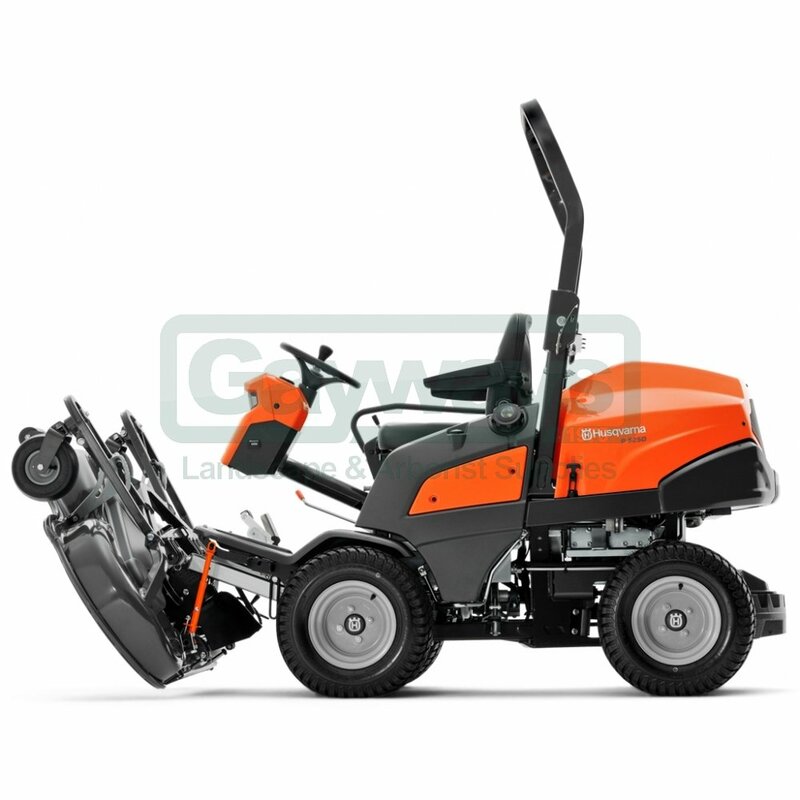 With a large number of attachments available including fails, ploughs and brooms, you can use this front mower for more than just cutting the grass. 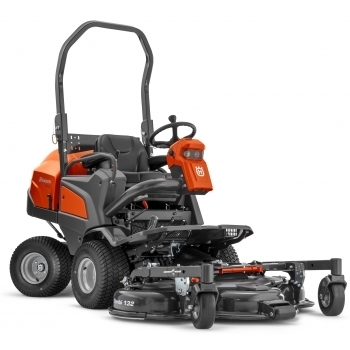 With a compact design, this diesel powered front mower is capable of working in complex and narrow environments, even when a trailer is attached. 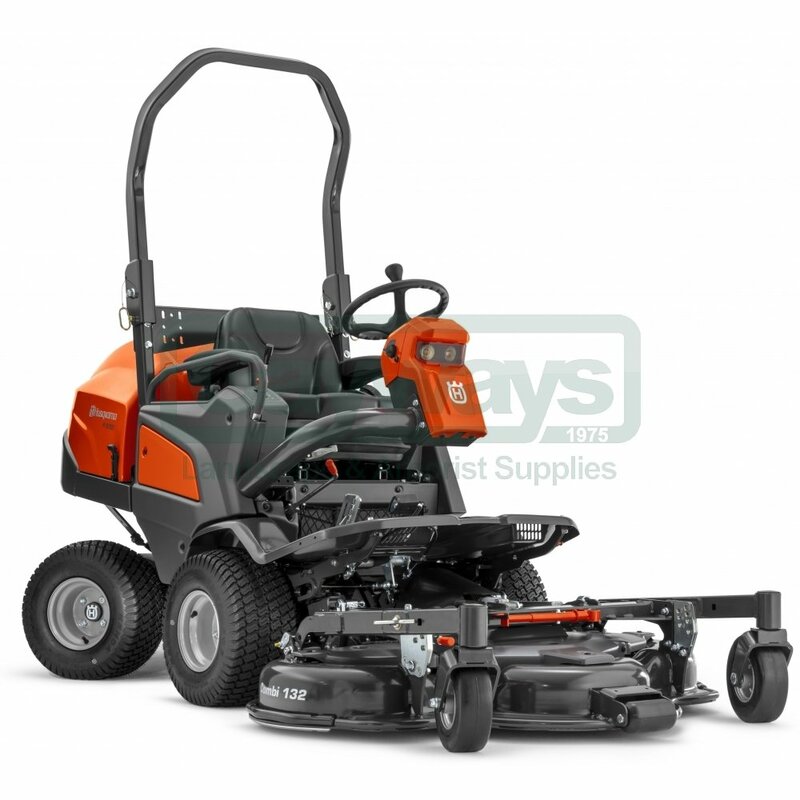 Its low profile cutting deck enables this rider to cut the grass in restrictive places usually inaccessible to ride on mowers, like under park benches, removing the need for costly follow up grass cutting with a grass trimmer or pedestrian mower. Need to tackle slopes? No problem. The P520D’s low centre of gravity and All Wheel Drive transmission means all four wheels rotate individually providing maximum traction and stability on slopes with minimum turf damage. Optional cabin for increased comfort during all seasons. Solid and hardened PTO axle for maximum efficiency and durability. For improved durability the complete rear wagon is in one piece ductile cast iron. 16-inch wheels both front and back provide optimal riding comfort, great accessibility and less risk of damaging delicate surfaces. 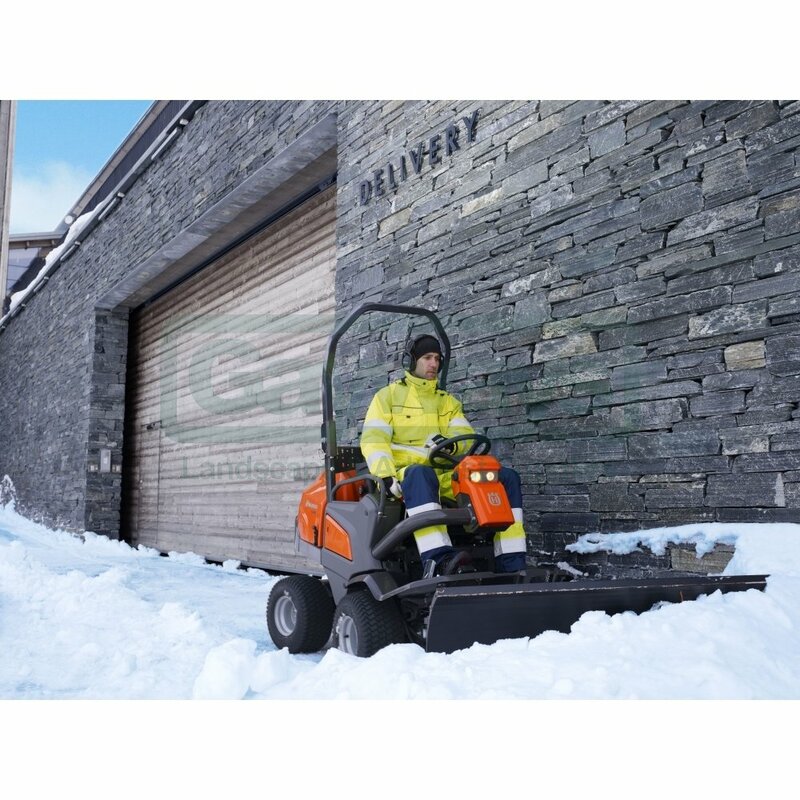 Optional kit includes valve and hoses with connections to control different front attachments such as snow blade, broom etc.